and it’s time to kick your workout up a notch! Spring Break is not that far away even though the snow is still piling up outside. Join us inside the Studio for a Spin class – a great energetic workout performed on a stationary bike. Michigan Tech employees who are TechFit benefit eligible can use some of their $150 (and $100 total for dependents) for this awesome class! Instructors guide you through warm-ups, sprints, climbs, cool-downs, and more, with plenty of encouragement and upbeat music. Are you a beginner? No worries, check-out the Learn to Spin class here. Classes are scheduled through the end of April. Join us anytime by committing with an 8-punch class card OR try us out for a single session for only $6. Aqua Zumba for Thursday, February 20 at 7:00 p.m. is cancelled. How are your 2014 goals coming? Maybe it’s time to tune up and motivate with a personal training session to help keep you on track! We’re deep (with snow, too!) into February and we want to help you reconnect with your New Year’s resolution. Working with a trainer is one of the fastest & most successful ways to improve your health. Michigan Tech’s personal training services, with Ann Hoover, focus on customized health and exercise programs to help you achieve your lifestyle and fitness goals. Looking for a fun workshop this weekend? Try out the specialZumba session geared towards beginners. Want to hit the ice for adult skating lessons for the last time this season – the final 5 week program starts on Feb. 27. For more announcements and awesome deals, connect with Michigan Tech Recreation on Facebook and visit us online at michigantechrecreation.com. Our Learn to Skate program offers fun, challenging, and rewarding beginning skating classes for boys and girls of all ages and abilities. Students learn at their own level with others in their age group; classes are available for preschool (3­–5 years old) and basic levels 1–8 (6 years and up). Weekly program time includes a 25-minute lesson and a 55-minute practice session. Last Chance to Register – Weekend Workshops! Last Chance to Register for this weekend’s Workshops! Connect and relax through this specifically designed couples yoga flow. All levels welcome. Take your spin workout to a whole new level and the challenge you’ve been waiting for. This prenatal workshop is an excellent prep for birthing through breath, body and mind awareness. New to Community Programs? Want to change up your workout? Try out a class anytime – view our entire Spring Semester brochure here for class types, schedules and locations. For awesome deals, the most up-to-date information, event announcements and more, connect with Michigan Tech Recreation on Facebook. Fuel your body with Aqua Zumba! With fun music and traditional aquatic fitness disciplines, Aqua Zumba blends it all together into a workout that’s mixed with cardio, body toning, and is most of all exhilarating. Join us in the SDC pool for a great addition to your fitness routine. Michigan Tech employees who are TechFit benefit eligible can use some of their $150 (and $100 total for dependents) for this awesome new class! Fuel your body this winter and keep counting down to Spring with Community Programs. Classes are scheduled through the end of April – join anytime and either commit with a low-rate 8-punch class card or choose the $6 daily rate option. For awesome deals, event announcements and more, connect with Michigan Tech Recreation on Facebook and Twitter. The Lower Trails, Tolkien Trails, and Nara Trails will be available during this closure. DUE TO NCAA RACES THE WAX CENTER WILL BE CLOSED ALL DAY SATURDAY, FEBRUARY 15 AND WILL REOPEN SUNDAY, FEBRUARY 16 AT 2:00 P.M. Celebrate winter & fuel your spirit with YOGA. Compliment your outdoor activities with some indoor conditioning – Yoga is a great low-impact, indoor cross-training option! Whether you’re just learning how to tap into your inner yogi or have been reaping the benefits of Yoga for years, Michigan Tech Community Programs offers several Yoga classes to fit your needs. Yoga classes offered 5 days a week through the end of April include beginner, all levels, advanced, gentle, power and men’s-only. Join anytime – punch cards and daily passes are available to fit your schedule. Upcoming 1-day Yoga Workshops include Getting Fit Yoga on 2/9, Valentine’s Partner Yoga on 2/15 and Prenatal Yoga on 2/16. 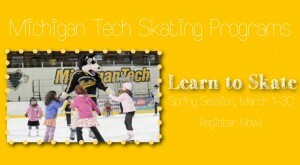 Visit us online at michigantechrecreation.com for full details and online registration. 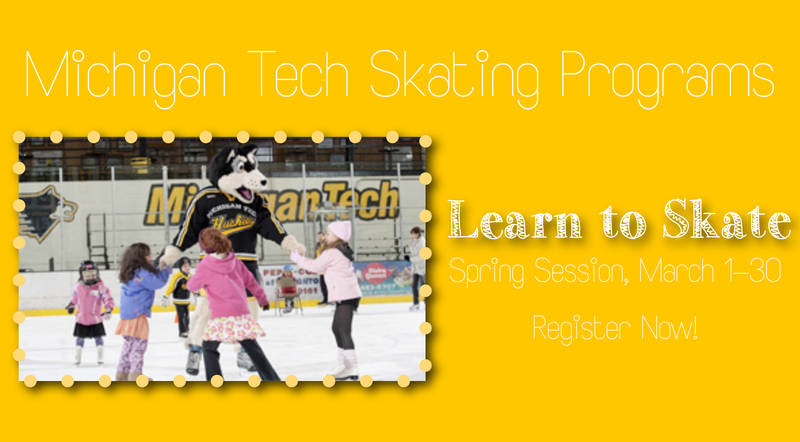 For awesome deals, event announcements and more, connect with Michigan Tech Recreation on Facebook. The Michigan Tech Nordic Ski Club WILL NOT be at the Waxing Center on Thursday, February 6. Monday & Wednesday 12:30 p.m. – 8:00 p.m.
Tuesday & Thursday-Sunday 8:00 a.m. – 8:00 p.m.
Visit the Nordic Ski Club for more club information. Join the club for $10 per academic year and receive free equipment use at the Tech Trails.